Edgemont Homes are nestled around the wonderful “Edgemont Village, which is well known outdoor shopping district with over 75 specialty shops & services. With all it’s specialty shops, grocery, produce, gift stores and more, the village is a one-stop shop for many Edgemont home owners. Many Edgemont home buyers request homes that are “we want to be walking distance to the Village”. Although many realtors advertise that properties are located in “Edgemont Village” this is not actually recognized as a region by the real estate board. Edgemont Village is comprised of the two Edgemont real estate areas known as Capilano and Capilano Highlands. 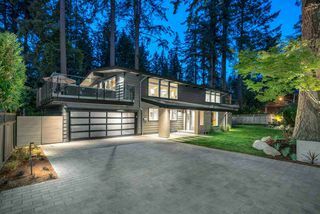 Capilano Highlands is a charming community and home to some of the most expensive real estate in North Vancouver. Developed in the late 1940′s, today streets are a combination of original 1950′s ranchers (one level, non basement homes), renovated homes and most recently large (4,000-5,500 square foot) craftsman homes. Capilano is located beside the Capilano River which separates North Vancouver and West Vancouver. The area is small in size but growing in popularity as the demand to be close to Edgemont Village continues to increase. Many new Edgemont homes are being built along Paisley Road and its adjoining cul-de-sacs. Residents enjoy one of nicest children’s playgrounds in the Edgemont area at Murdo Fraser Park which also features a pitch and putt golf course, tennis courts, a duck pond and trail that leads up to Edgemont Village.